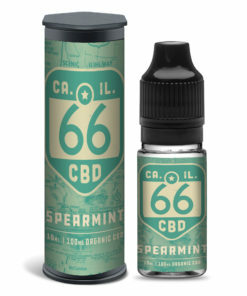 Ever found yourself wanting to enjoy all the health benefits that CBD oil can bring but with a refreshing fruity taste? Well then, look no further. Thanks to our Route 66 Cherry Blackcurrant CBD e-liquid, you can enjoy this perfectly blended bold and exciting flavour that’s sure to satisfy your needs if you’ve got a sweet-tooth. This 10ml bottle contains 100mg of organic CBD with a VG/PG ratio of 40/60 to ensure you enjoy a satisfying throat-hit, whilst still providing big clouds on the exhale. 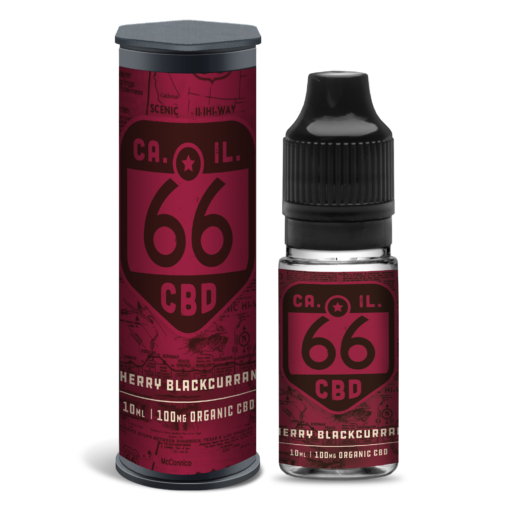 Compatible with all devices, this Cherry Blackcurrant CBD e-juice can be vaped as is, or diluted if you prefer something with a little less kick. Enjoying our Cherry Blackcurrant CBD Oil? If you’re looking for something a little different, why not try CBD in isolate form? Our high quality products are made in an ISO clean room in our UK based lab. We comply with the law, and are certified by the FDA. We complete all the rigorous tests and guidelines necessary to sell CBD products legally. For your peace of mind, our safe and secure payment gateway will keep your purchases private. We respond promptly to all enquiries due to our fast, efficient customer service. This was my first blackburrant CBD vape juice and it was pretty decent. Made nice clouds, tasted nice and made me feel great.